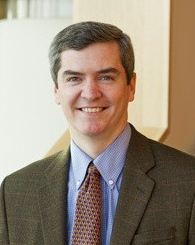 Joseph Doyle is the Erwin H. Schell Professor of Management and a Professor of Applied Economics at the MIT Sloan School of Management. His research focuses in particular on child welfare and health. He studies the effects of foster care and other interventions on child outcomes, the returns on healthcare spending, and the role of health insurance on the quality of treatment provided to patients and health outcomes. Joseph received a PhD in Economics from the University of Chicago. He is Co-Chair of J-PAL's Health sector. I first became interested in studying the value of Medicaid as an anti-poverty program and then discovered that the fundamental questions in health, such as what types of care are productive and unproductive, offered important outcomes to study (patient health) and plenty of work to do. What got you interested in economics and in particular, child welfare and health? I have been interested in public policy since high school when I discovered economists weighing in on policy analysis. The discipline always seemed like a natural fit to frame the questions and then use data to find credible answers. I then had fantastic advisors in my undergraduate work at Cornell (Dean Lillard and Elizabeth Peters) who nurtured my interest in child welfare. At the time, I found some policy debates seemed to be caught up in political ideology but there was common ground on child welfare: most agreed that children should be protected from abuse or neglect. In terms of health, I first became interested in studying the value of Medicaid as an anti-poverty program and then discovered that the fundamental questions in health, such as what types of care are productive and unproductive, offered important outcomes to study (patient health) and plenty of work to do. I am particularly excited about a project in Camden, New Jersey where other J-PAL affiliates and I teamed up with Dr. Jeff Brenner to study an innovative model that provides particularly extensive care management services to "super-utilizers" of the healthcare system. The management includes helping patients with social as well as medical needs. I am hopeful this is a strategy that can improve patients’ lives and lower healthcare costs at the same time. I am really interested in the impact that family members have on one another, so an unfeasible (and unadvisable) evaluation would randomly assign siblings to one another and then unpack what types of siblings have the most positive or negative impacts on their within-family peers. A more feasible one would study how best to prevent child abuse and neglect, with, for example, different models of family preservation services that families investigated by child protective services might receive. What is your craziest story from a research experience? I have research stories, and crazy stories, but the Venn diagram is coming up blank on the intersection. For one project, I was one data permission renewal away from a publication with little progress, so I flew to Chicago and basically sat in a waiting room until the data specialist found time to meet with me; I once had a paper about a "large Midwest healthcare system" dutifully anonymized according to our data protocols only to have the new Chief of Medicine call me the same week it was published (he was more interested than annoyed, but I wasn't sure what he would say when I called him back). Last, I had a journal article where the proofs were thoroughly checked for completeness down to each number in the tables, and I sent the article off satisfied with it. Three years later a reader told me that Tables 1 and 2 were missing from the published paper. I had two main takeaways: (1) double check papers when they come out even if the returned proofs were complete, and (2) one person read the paper in three years! That's less than the number of authors in the paper! I am hopeful that this is a lower bound on the actual number of readers and the complete version on my website was doing its job.